This time of year is one for celebrations of faith and community for many people in all parts of the world. Spirituality is a part of the core of most cultures and societies. We find evidence of spirituality at all points in human history. No where is this more evident than in our art. 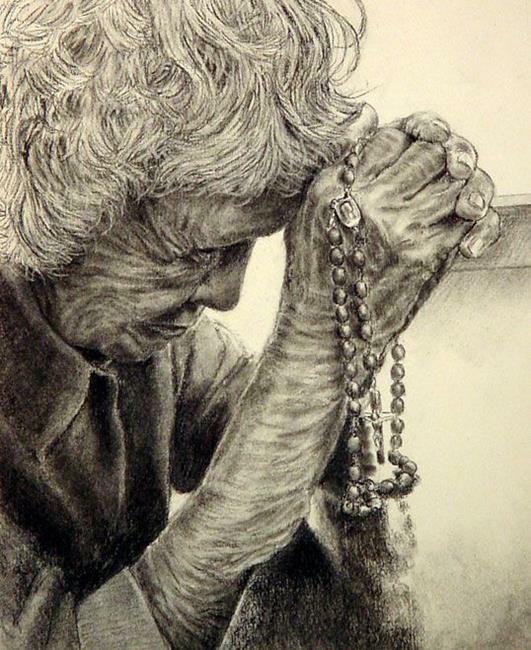 This is a portrait of my grandmother who was 92 when I drew this piece. She is the epitomy of faith to me. Praying the rosary and her litanies are the best part of her days. I hope to grow old as gracefully as she does!